Mary Ross Kerr was born in Greenock and studied Medicine at St Andrews University (Queens College Dundee Medical School) where she proved to be a brilliant student, being awarded class medals in six subjects and the coveted medal for the most distinguished final year student. 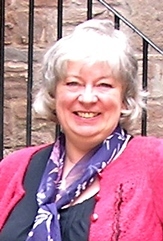 Much of her professional life was spent in King’s Cross Hospital, Dundee first as a junior doctor and eventually as a consultant in Communicable Diseases and Head of the Division of Communicable Diseases, Department of Medicine, Dundee University. 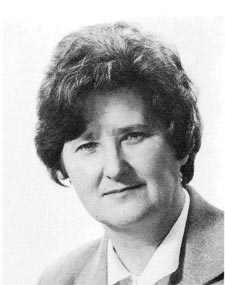 In 1981 her work on Tayside was recognised when she was awarded the Douglas Adamson Memorial Award for “ Outstanding Contribution to Patient care in Tayside”. She was a keen lecturer and teacher ( medical students, post-graduates preparing for their MRCP.UK, paediatric and general nurses) as well as a researcher with close on 20 papers to her credit, on topics ranging from tuberculosis to hospital staphylococcus, sleeping sickness to mumps and Echo Virus infection. She was a Member of the Specialist Advisory Committee ( Communicable Diseases) 1980-83 and a Member of the National Council the British Society for the Study of Infection 1984-86. [S49] Website Web Site online (www.) Royal College of Physicians of Edinburgh Dr Mary Ross Kerr, FRCP Edin [webpage accessed Jun 2011].